All Saints is a thriving evangelical Anglican Church, planted in 1960, serving a suburban costal parish in the Fylde Coast of around 10,000 with a reasonable degree of affluency compared with the wider urban areas of Cleveleys, Fleetwood and Blackpool. is passionate about God and the gospel. is empowered by the Holy Spirit. will preach the gospel of salvation in and through Christ alone. will lead and work with the whole fellowship of All Saints to bring people, whatever their circumstances and life history, to faith through Christ and to maturity in Christ. will encourage and equip us to practise every member ministry and to make the best use of all the gifts we have. is a “people-person”, able to lead but routinely listening to those round him/her. will encourage us to practise styles of worship which allow us all to worship in ways which suit us but which are also welcoming to incomers. - A church that has always sought to be a beacon of God’s love and mercy in the Parish. - A people who know they are only on the way but are eager to journey farther wherever God may take us, teachable and open to the Spirit of God. - A fellowship, a Diocese and Deanery which are welcoming, worshipping, accepting and passionately determined to spread the gospel of salvation in Jesus Christ. 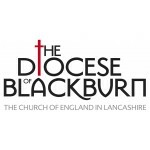 - A home in a very varied Christian community within a wider supportive Deanery where we support, respect and love one another as we work together in the Kingdom of God. Are you the one that God is calling? We long to run the race set before us. We want to serve with you, equipped by the power of God’s Holy Spirit. As we claim God’s promises and are filled with His grace, so we will love and serve others. We ask that God will set our lives on fire. As we work with the person of God’s calling, we will indeed ‘run and not grow weary….and rise up on eagle wings’ Isaiah 40v31.